Having children invites chaos into your life. So if your work focuses on minimalism and simplicity, how do you align those themes with the bedlam of being a mom? For Erin Boyle, she says she seeks out the simple moments: The time spent reading stories to your kiddos at bedtime. The moments when your child is calmly eating cantaloupe. The five minutes in the morning you spend sitting on the kitchen floor with your three-year-old, drinking a smoothie. The entire day isn’t simple, but parts of it can have calm and peace. Erin Boyle is the writer of and editor of the lifestyle blog, Reading My Tea Leaves. Based in Brooklyn, Erin spent time living in a 173-square-foot apartment which inspired her path towards a more minimal, and beautiful, lifestyle. She believes that the elements of living simply are beneficial and accessible to us all, no matter the circumstances. Now that she is the mother of two children under the age of four, with a six-month old in the house, simple moments are even more precious to Erin. Today she shares how her background in history and public humanities led her to explore the idea of ‘living small.’ I ask Erin about her gentle approach to self-improvement and how she defines courage within the context of being a parent. 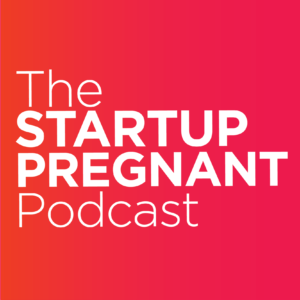 Listen in to learn how getting comfortable with uncertainty a big part of parenting, why she cautions against speaking about pregnancy in universal terms, and how you can embrace the ‘idyllic and beautiful’ moments in your life. Erin Boyle is a minimalist who loves a good story. Her approach to living simply recognizes that life isn’t always simple, ‘but the curtains can be.’ She grew up in a very old house on the Connecticut shoreline and developed an interest in what life looked like in the past. Erin studied history as an undergrad at Sarah Lawrence and went on to earn a master’s in public humanities from Brown. A background in cultural preservation informs her desire to cherish what is ‘beautiful, useful, and meaningful.’ Erin is the writer and photographer behind the well-known blog, Reading My Tea Leaves, and her first book, Simple Matters, hit shelves in January 2016. Thank you to the sponsor of this episode: HippoGive! HippoGive is a new app that donates your change by rounding up your everyday transactions to the nearest dollar and gives it to the charities and non-profits of your choosing. If you’ve been wanting to donate to Planned Parenthood, the ACLU, or disaster relief you can use this app and it’s a piece of cake. All you need to do is create an account, choose your charity and then set a weekly donation cap. Head to HippoGive.com to sign up.